Chief client officer Michael Ramah has left Porter Novelli to start his own consultancy. 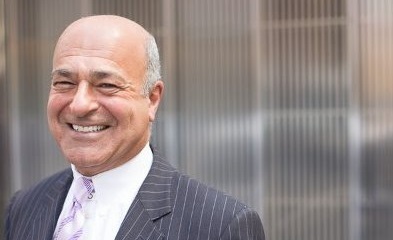 NEW YORK: Porter Novelli chief client officer Michael Ramah has stepped down after 28 years at the firm to start his own consultancy. Ramah left Porter on April 1 on amicable terms, he told PRWeek. He will continue to serve in a part-time consulting role for the agency. With his new consultancy, Ramah will focus on providing clients with broad-based business, marketing, and comms strategies, he explained. He will not target specific sectors. "I had a wonderful time at Porter, a great career of 28 years, and I wish the firm all the best," said Ramah. "I was very happy there." Ramah worked as Porter’s chief client officer since 2013. The agency does not plan to hire a replacement for him, said VP and chief of staff Tricia Whittemore. He was previously global director of strategy for nearly four years before taking over as acting CEO in 2012, following the departure of former chief executive Gary Stockman. "Michael Ramah has been an integral part of Porter Novelli for as long as most of us can remember," Porter CEO Karen van Bergen told PRWeek via email. "He has led our work with brands big and small, and served in a wide variety of leadership roles, including interim CEO and chief client officer." Ramah said he has no plans to join another firm.